Following basic etiquette and preparation matters will keep you pretty darn safe in the Otherworld. Most of the safety issues you may face in the Otherworld are easily preventable by following the tips outlined in previous posts. However, there are more things you can do here on our plane as well as in the Otherworld to ensure your safety. This was posted in a prior post, but I felt it was important to include it again here. Prior to hedge riding, it is important to make sure you are properly protected, and I don't necessarily mean through circle casting. I have never in my entire magical life cast a complete circle. It just isn't my thing. I prefer to let my energy flow freely, but I understand the importance of circle casting and the benefits of doing so. I, however, choose a different method to concentrate my energies and keep myself protected. As you will be traveling to the Otherworld, where there are both positive and negative entities, it is important to take proper precautions. You don't jump into the car for a road trip without making sure to buckle up first! Apply the same logic to hedge riding. While I have had only one negative encounter, it is better to be safe than sorry. There are several ways you can protect yourself prior to entering the Otherworld. My preferred way is to envision myself surrounded by golden light. This is a technique I actually learned from Silver Ravenwolf years ago. I know, I know, the dreaded Silver Ravenwolf. However, this particular method of protection always stuck with me and she wasn't even mentioning it as a means of protection. In fact, she was using it as a way to cleanse yourself, but when I tried it, I felt it act exactly as she described a magical circle, so I decided because I could easily summon this "shield" and felt more comfortable with it, I would use it instead of the proverbial circle. I just can't wrap my mind around casting a circle up against a wall, but that's just me. Anyway! This golden light can stick to your skin, or be envisioned as an oval or egg-shaped shield around you. If you prefer, cast that magical circle. In addition to visualizing a protective shield, you can carry a protective amulet or hold a crystal. Great protective crystals for hedge riding include my all-time favorite black tourmaline which protects against negative energies, especially those at a lower frequency; labradorite, which guards against psychic attacks and fixations; staurolite, which protects against unwanted spirits and attachments; and finally spirit quartz or just plain clear quartz, which both increase your natural defenses. However, the best form of protection in the Otherworld is your animal guide. 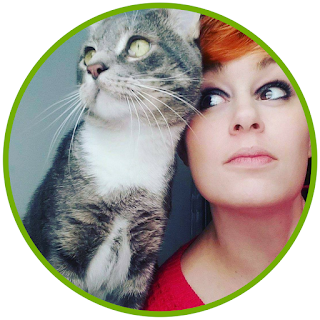 We will talk more about meeting your animal guide and developing a relationship with them later, but having them with you at all times in the spirit world if a must. They will inherently keep you safe and defend you no matter what the cost. Wand: You can place a wand, natural or not, on your lap prior to travel and summon it to the Otherworld if you encounter any negative spirits. If you have a Harry Potter wand from Universal (Ash anyone?) feel free to use that. I know some witches may scoff at the use of a "fake" plastic wand, but I am here to tell you, to any HP fan, that plastic wand holds some truly powerful magic, a magic that is hard to come by elsewhere. If you come across a negative spirit or feel uncomfortable, summon your wand to you by envisioning it. Then tap the spirit and say "be gone." Be firm and do not be afraid. Telling a spirit to go away will make it go away and it should stay away. On rare occasions, the spirit may return. If it does, end your journey. Besome: Also known as a Witch's Broom, the besome is a fantastic partner for any hedgewitch. In the Wiccan tradition, besomes are often placed at the door when a door is cut in a magic circle to protect the entryway. Sit a besome near you prior to hedge riding and summon it should you need it. Sweep away the negative spirit and will it away, just as you did with the wand. Iron: If you encounter fairies or other spirits "allergic" to iron, use it to will them away. Iron burns fae and will keep them from bothering you. You can place an iron nail in your hedge riding sachet or wear it around your neck as a protective necklace. I've been known to carry a cast iron frying pan with me when I hedge ride. Thanks Tangled for the wonderful idea. It's pretty darn effective and easy for me to get. Haha! Rowan: Rowan is the preferred tree of hedgewitches, which is unfortunate because it doesn't grow in warm climates like those found in Georgia. However, if you live up North, enjoy the heck of out it for me. Rowan is an extremely protective plant and can be used to will away and banish spirits from bothering you in the Otherworld. Feel free to wear it as a crown or fashion a wand of rowan. Rowan also increases spirit communication and can make travel to the Otherworld easier. Red Witch's Cord: Tie a red string, yarn, or ribbon around your finger. When you enter the Otherworld, make sure it is also attached to you there that way you can find your way back to our realm should you get lost. Think of it like a trail of breadcrumbs, but without the risk of it being eaten. This is sympathetic magic, as what you do in our realm affects what is done in the spirit realm. Safe Word: Develop a safeword that will pull you and your soul immediately back to our realm. This can be something simple like "return" or a full incantation. Completely up to you, but make sure it is something you can remember. Sigils: Draw a protection sigil on your body in ash or annoiting oil to protect your body while your spirit travels freely. This will not only prevent another entity from possessing your body, but will also help your spirit find its way home. Don't travel when ill, tired, or stressed. Set a time limit, especially when you are just starting out. If you are new, have someone to "spot" you to help bring you back at the end of your journey. Trust your gut. If it feels wrong, it probably is. Always travel with your animal guides. Be respectful to all you meet there. Don't go anywhere alone with strangers, even if they promise candy and kittens. Trust few. Make spirits work for your trust, just as you have to work for theirs. Properly prepare, set a purpose for the journey, and ask your guides to meet you on the other side. Don't stress. 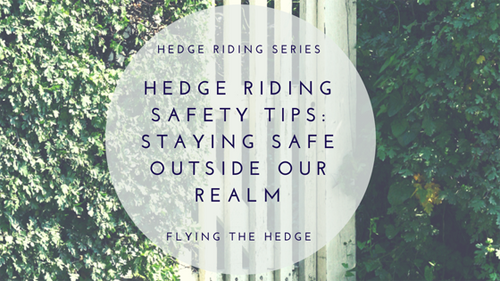 Hedge riding is exhilarating and fun. Enjoy yourself.